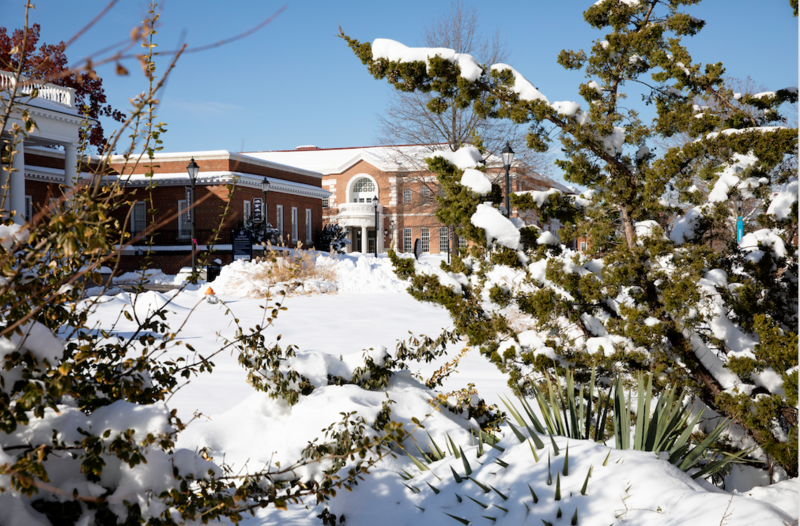 Depending on where you live, you might not be aware that it snowed all day in Farmville last Sunday, dropping more than 12 inches of snow in the area. Most students were probably safely and snugly home by then, so they missed out on the winter wonderland that the campus became as a result. Longwood closed for two days, so the timing was actually lucky. That amount of snow a few days earlier would have wreaked havoc with the final exam schedule. 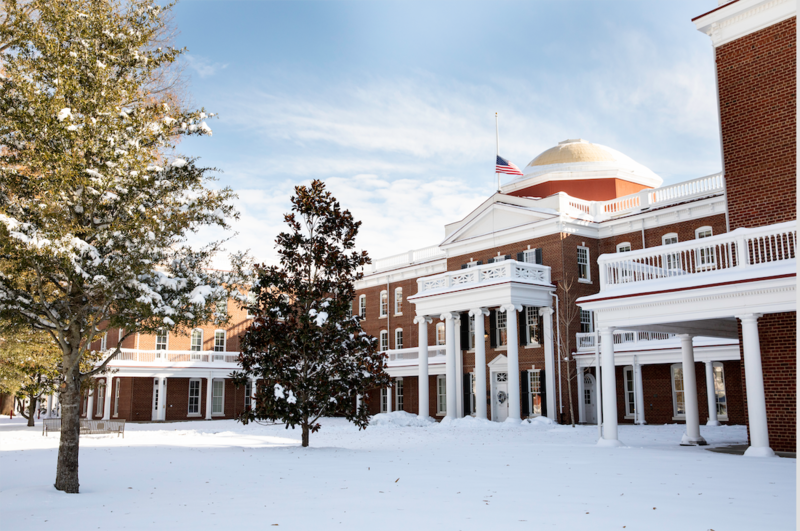 The Longwood campus is beautiful all the time, but it is particularly picturesque in the snow, as you can see from the photos below. We hope you and your family have a wonderful holiday and that your student uses the winter break to rest and recharge. 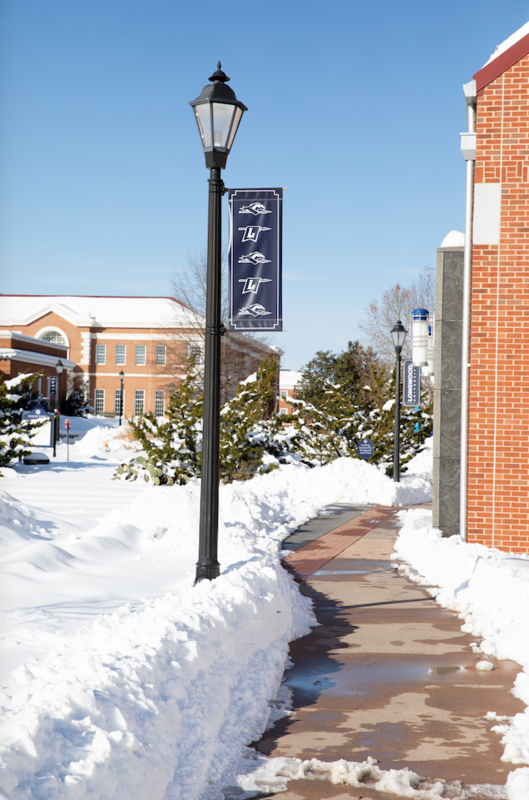 Residence halls open for the spring semester at noon on Saturday, January 12. 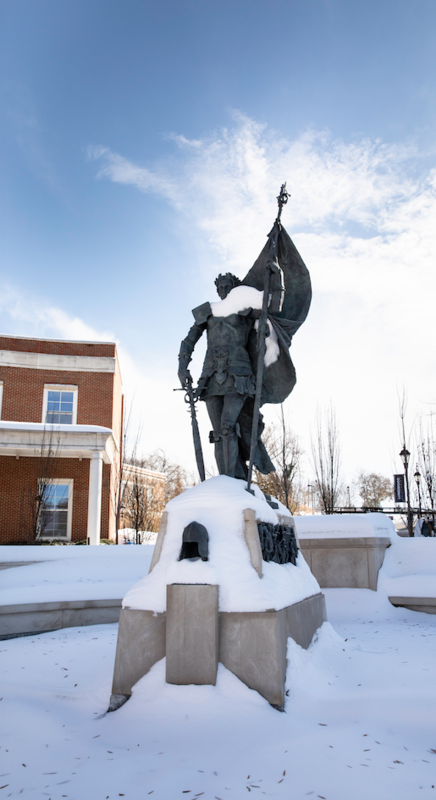 Classes begin at 8 a.m. on Tuesday, January 15. If your student happens to be one of those who is reticent to provide details about their college experience, don’t despair. There’s a group of Longwood freshmen who can fill you in. They’re part of a project called My Life As A Freshman, and they’ve been sharing their experiences through journal entries and photos since orientation. This is really a great bunch of students. Some are athletes, some are honors students. They’re in a variety of majors, from biology to communication studies. They come from all over Virginia (and one from out of state). There’s even a chance that one of them is friends with your student. I can’t tell you how much fun I have had getting to know them—both through personal interaction and through reading their journal entries. “How lucky I am to be in a campus environment that is so beautiful. I love that when you come into town you can see where the campus begins and ends. I love that I can walk from one end to the other and be surrounded by such history. I love that the new buildings look like the past. I love that Longwood has continued so many traditions that I want to be a part of. All of these freshmen have surprised me with their candor and introspection, and delighted me with their different personalities and their humor. They’re going to continue their journaling through the spring semester, so you can cruise through the archive for previous posts as well as keep an eye on their website for future reflections. Or you can sign up on the site to receive their entries via email. Here’s the URL again: freshmanlife.longwood.edu. I know it’s not the same as hearing from your own student, but it’s a pretty good second-best. Bottom line: I really like these young people, and I think you’d like them, too.